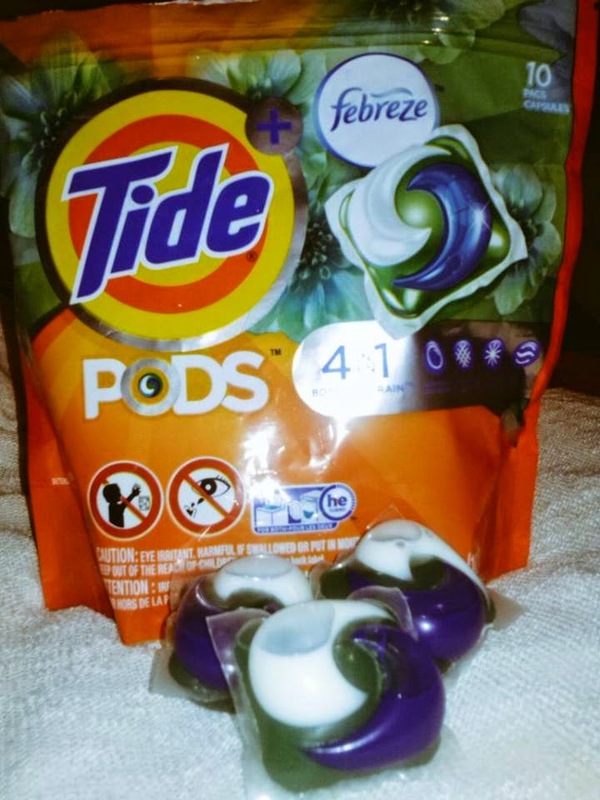 In the theme of #StylingonaBudget I received these @tidepods from Influenster for testing and review purposes (A.K.A For FREE). Tide Pods with Febreze retail for only $4.44 at Walmart (Link provided is the larger pack with 54 pods for $17.97) and the pack says it contains 10 pods but I received 12 pods. The best thing about these tide pods besides its amazing smell is you only need to use 1 pod for a small load and 2 for larger loads. That means you spend $.44 cents per load. This 4 in 1 product claims to be a detergent, remove stains, brightens, and has a long lasting freshness. But is this really true??? Well I put these pods to the test. If your clothes or linen has already lost its colour and the stains are set in for months or years, it won't help. But if it’s a new item this detergent will help maintain its colour and remove surface stains. The pods have a lasting freshness even while wearing or using the items washed you can still smell the freshness. Would I use my own money to purchase, Tide Pods with Febreze YES.